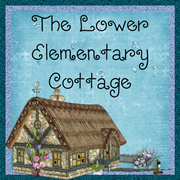 The Lower Elementary Cottage: Conscious Box GIVEAWAY and Discount!! A camping we go...a camping we will go... I'm headed off to the ranch with my class for our overnight field trip! Cows and sheep and horses, Oh My!! Toss in my K-2 kiddos and we've got a full blown adventure on our hands! Lots of stories when I get back. In the mean time, I'm leaving you in great hands...with a present! 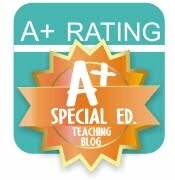 Today we have a special GIVEAWAY and Thursday you get Angelia from Extra Special Teaching visiting you! Conscious Box asked me if I wanted to give you things!! How cool is that?! Of course my answer was "YES!!!" to giving my readers fun FREE stuff! The winner will receive a 3 month subscription to Conscious Box! That's a $59 value!! Conscious Box – the monthly subscription service that delivers the purest, most natural products on the planet, right to you doorstep! I've heard of companies like this before, but this is the first one I've seen with all natural products and has gluten-free and vegan options. Go comment about my blog on the Conscious Box Facebook page! Show them some love so maybe we can have some more giveaways!! I sure love free stuff and I'm sure you do too! You get 10 entries for liking them on Facebook! Ready to win things?! Enter Below!